Members of the Yellow vests, or Gilets jaunes, movement demonstrated for a 12th consecutive weekend across France. The use of violence surrounding the protests have led many to question the best ways to secure safety for all parties and the appropriate response by the police. 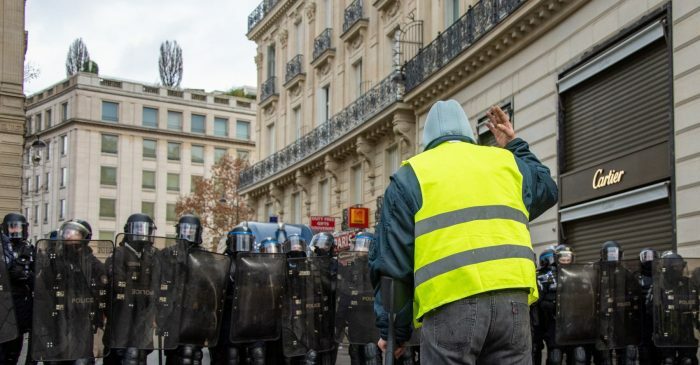 The Yellow vests protest began last November after the French government announced a tax increase on fuel prices for 2019. But the movement has since gained in intensity, even though the government has since reversed the tax increases on fuel. Despite President Macron’s public response to the movement on National TV, the protest has grown to reflect more widespread anger at the government’s economic policy and reform agenda, which protesters argue benefit wealthier populations disproportionately. 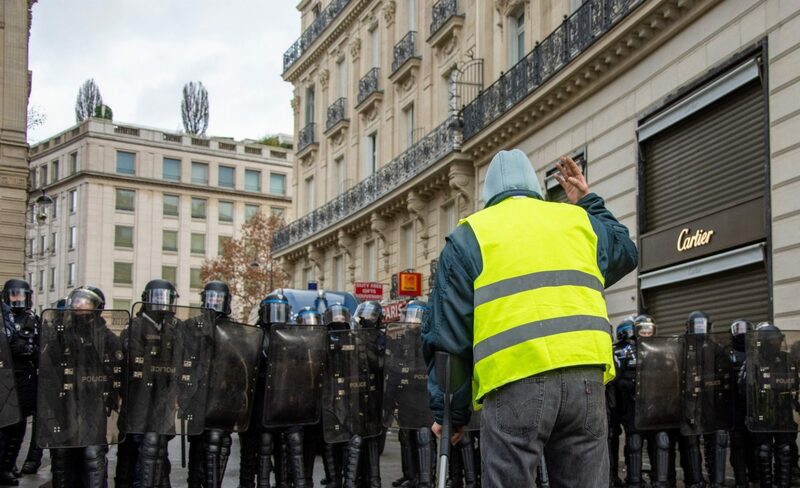 Today, the Yellow vests movement has grown to include people from all political affiliations and ages throughout France. The issue of police violence has arisen as more and more injuries from the police were reported, an issue that echoes debates in the US about the police’s use of force. Protesters in Paris last Saturday paid homage to those injured in recent months, denouncing the use of flash ball riot control. French officials deplore injuries but said police are authorized to use rubber ball launcher to maintain public order. Since the beginning of the movement, police officers have encountered instances of violent protests who have damaged shop windows and restaurants. As a response to the crisis, President Macron has initiated a “National Debate” to discuss the issues raised by the movement at the local level throughout France. The French-American Foundation is hosting a special event on the theme of Political Movements in France on February 27th, aiming to understand the causes and the political impact of the Yellow Vests movement in particular.